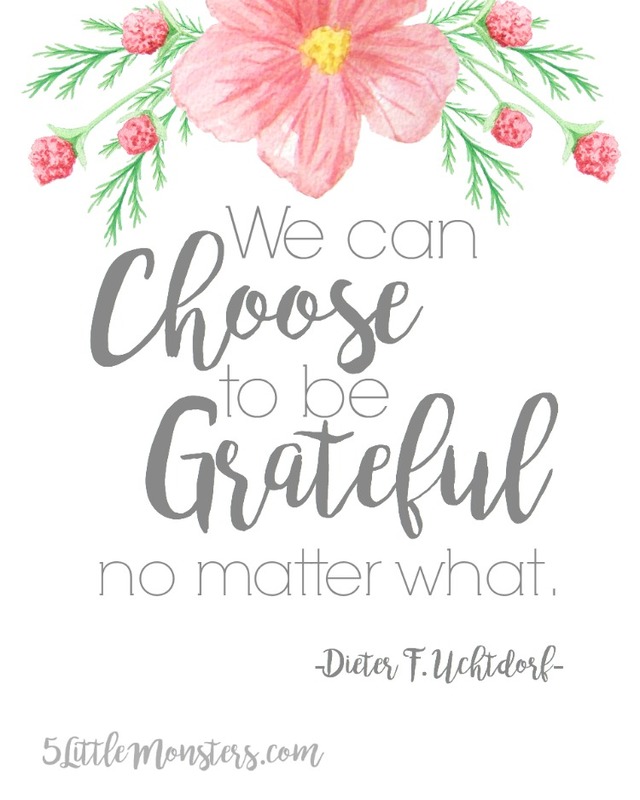 Another principle that is part of the #PrinceOfPeace campaign on Mormon.org is gratitude. I love this quote by President Dieter F. Uchtdorf. 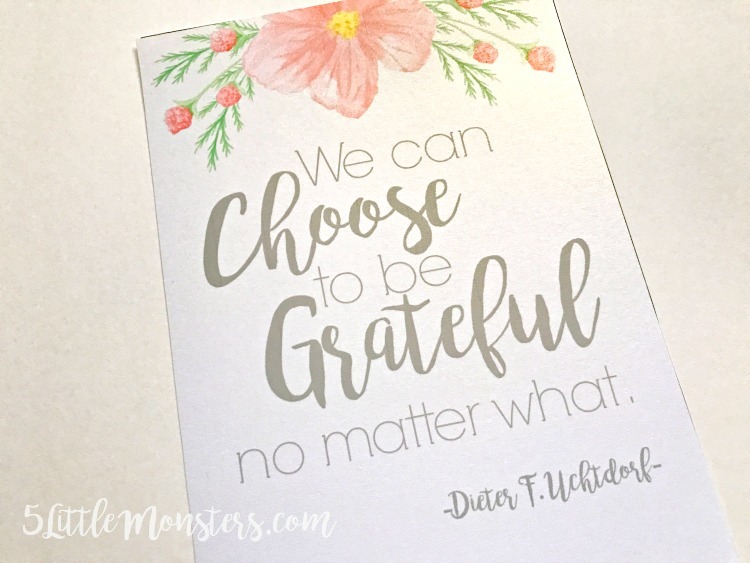 "We can choose to be grateful no matter what." 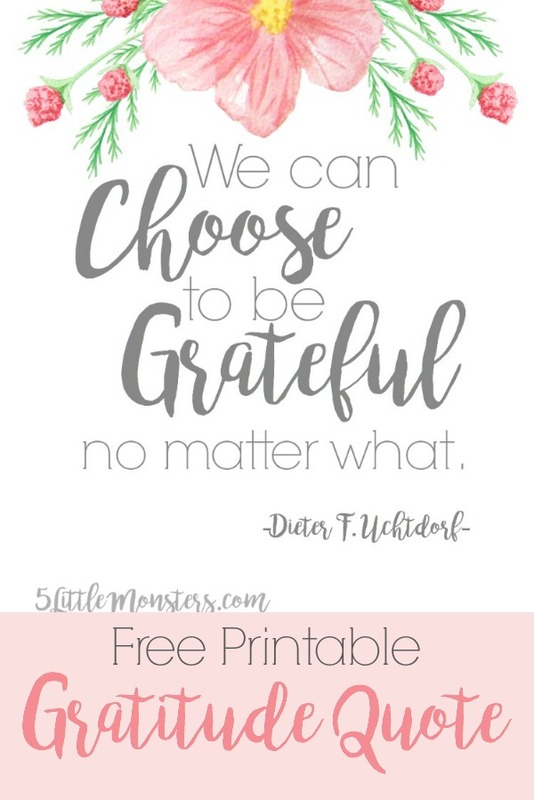 It is easy to be grateful when things are good but when times are hard it can be more difficult to see all of the blessings we have but they are always there. Just like with the other this quote is available in both 5" x 7" or 8" x 10" by clicking the links below.